Left: Visual interest was created in this small space by adding custom, white painted wainscot to the walls, which were painted in a cheerful color. 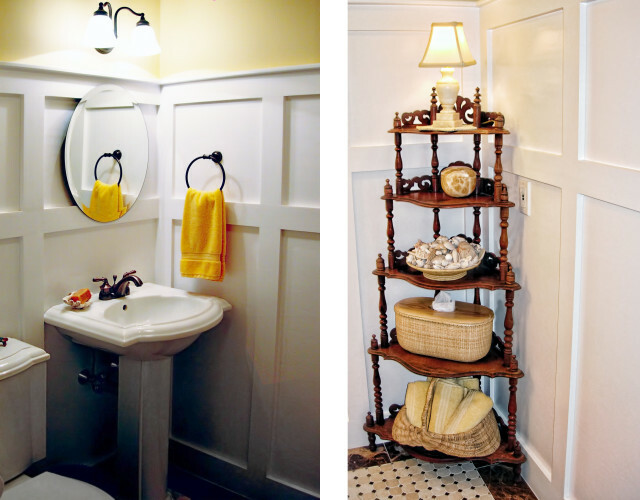 A pocket door helps to conserve space in this petite powder room. Right: Custom marble mosaic floor tile adds a graphic impact, and the use of an antique étagère adds storage and charm.